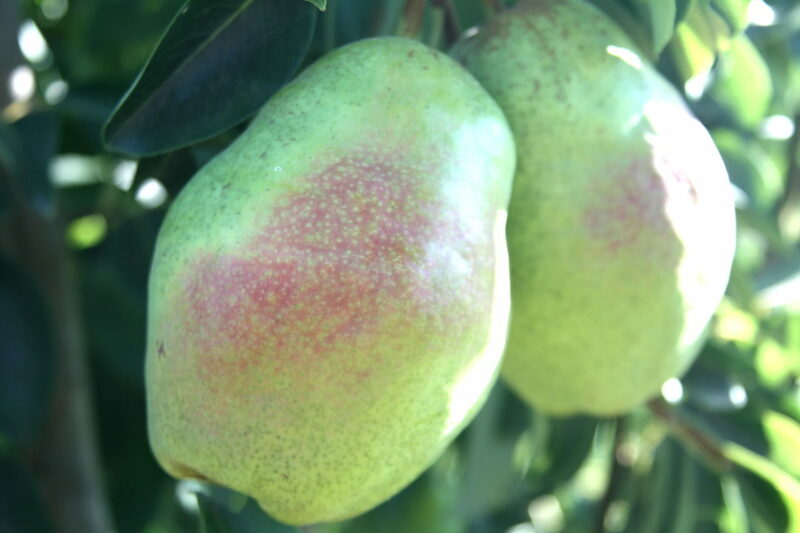 Cold Snap® HW614 cv., dubbed as a winter’s favorite pear, is a large, high yielding pear selection that has high tolerance to fire blight. The variety was bred by Agri-Food Canada and ripens approximately 3 weeks after Bartlett. It is productive and very grower friendly. The fruit is buttery and very juicy at maturation and has been rated very high for flavor.